Jenkins received her MLS in 1972 from the University of Oregon, after an introduction to medical librarianship at the University of Texas Southwestern Medical School. She began her professional career as director of the Dental Library of the University of Oregon Health Sciences Center. In 1978/79 she was chosen to participate in the Management Intern Program sponsored by the Council on Library Resources and the National Library of Medicine, spending a year at the University of Cincinnati under the mentorship of Nancy Lorenzi. I think that probably did as much as anything to tune me into the political nature of a director’s job; that there always are these dynamics going on that a good administrator, librarian or otherwise, has to be sensitive to. You have to know the people and be able to get that sort of underlying sense of what their goals are, why their being at the meeting might be different than why you’re at the meeting. And I just learned so much by being that fly on the wall with her for the year. After serving as associate director at the University of Virginia Medical Center, she continued the pursuit of her career goal to be a director. She went to the University of Maryland as executive director of the reconfigured Southeastern/Atlantic Regional Medical Library Services, where she developed contacts throughout the southeastern U.S. and successfully established the programs of the new region. 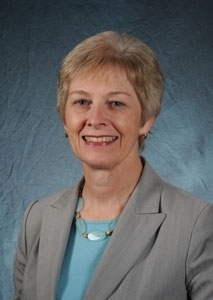 In 1986, she was named the third director of the Health Sciences Library of the University of North Carolina at Chapel Hill, a position she held until 2013. I was really impressed with the kind of work that UNC was doing. I knew about the success of the AHEC program, and I think because I had developed a passion for outreach through my RML experience, the opportunity to come to work for a library and an institution that had such a strong commitment to outreach that it was really part of their culture and their values was one of the things that really did appeal to me. She employed strategic planning to set the course for the library, and she built on partnerships with the health schools, library school, and the North Carolina AHEC. It became a kind of a guide for some of the planning that we did that enabled us to get out of the rigidity of a strategic plan that locks you into something you don’t do, and it just sits on a shelf. We really worked out of that mind-set to one that allowed us to be… open to new opportunities and influences and to somehow figure out: how do you prepare yourself to be that flexible. She completed a major building renovation, one that required securing community support. She believed in the value of participating in campus governance, including in the area of women faculty issues. Under her leadership, the Health Sciences Library enhanced access to digital resources on campus and for health professionals and the public in the state. 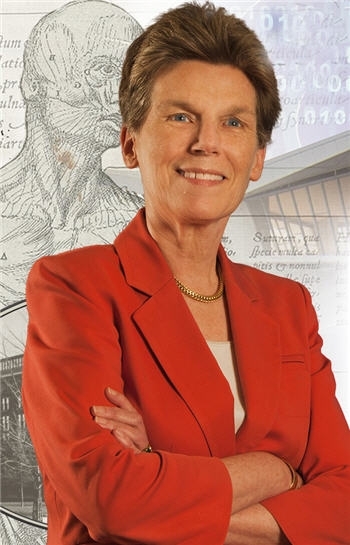 Before her retirement, she helped facilitate the consolidation of the library with the University Library. … I didn’t want people to remember me as the person who was there before the libraries merged, and so I really wanted to make that joint strategic planning something that we all engaged in, and that was a more positive legacy. It’s a really good plan, I think, and it gave us a forum that was a little bit less confrontational to talk about these issues of different mission, different vision. Jenkins was elected president of the Medical Library Association for 2001/02 and for an earlier term on the Board of Directors. That was the MLA meeting that was in Orlando, Florida, which many of us remember as being smoke-filled because of forest fires. But I remember it because of my inaugural address, which was built on the Disney theme—since we were at Disney World—of practical magic. That was a term that I was really taken with at the time that came from Michael Eisner, the Disney guru, who used that phrase to connote having a vision of something really future-oriented… but having a practical way of thinking about how to get there, that it’s a combination of not being afraid to think too far out to something that may seem unattainable, but then bringing that practical side of it to bear… [I]n MLA, it had to mean something like making really good choices about how you use the limited resources that you have… really marrying together that future vision and the practical side of it. And I tried to keep that theme in mind during my presidency to help steer us in some new directions. She chaired the search committee that selected Carla Funk as executive director and the 1987 National Program Committee. … MLA is a member-driven organization, and so there’s a lot of attention… being paid to getting members’ input and making members feel involved and engaged in the work of the association. And sometimes that takes you down a different path than the people who are looking at the budget and the bottom line, and even who are trying to figure out what kind of headquarter staff you need to support the work of the organization… There’s a kind of positive tension at times between that. 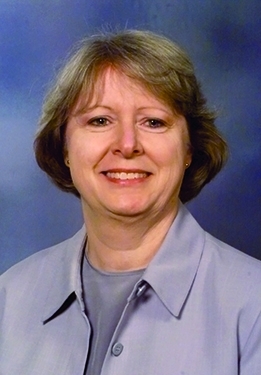 She was president of the Association of Academic Health Sciences Libraries in 1999/2001. She led governmental relations and leadership development efforts in both associations, chairing the Joint MLA/AAHSL Legislative Task Force. I learned how to be an advocate, no matter what the issue was. I learned that my congressman wants to hear from me. I learned that… I didn’t have to be an expert on a subject; I just had to have an opinion and some facts to back it up. And that most of the time, the message that we were carrying had important grassroots elements to it, so I learned that if I wanted to go talk about NLM funding or outreach, that I could throw in some examples of how that had benefited constituents in my community, and that’s what made it interesting and worthwhile. 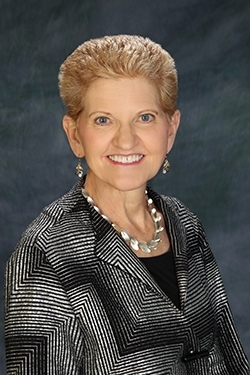 She co-chaired the AAHSL Future Leadership Task Force (later Committee), served as mentor twice in the NLM/AAHSL Leadership Fellows Program, taught the CE course “Do You Want to Be a Library Director?” and became program director after retirement. [I]t was beginning to be on our horizon that the baby boomer generation of library directors was approaching the decade of retirement, and were we doing enough to feed that pipeline of developing future leaders and our successors. For MLA, she chaired the Emerging Leaders Task Force that developed the Rising Stars program. She also chaired NLM’s Biomedical Library and Informatics Review Committee. Jenkins received MLA’s Marcia C. Noyes Award in 2011 and is a Fellow. AAHSL recognized her with its Cornerstone Award in 2010. [I]f your goal is to be a leader at any level, it’s important to understand… what those qualities of leadership are that really matter, and that a lot of it comes from within. It’s not just being given the title and the authority. It’s really understanding how to influence people and get the job done that you want done… [T]hat is what is needed for success, and then having a commitment to the ultimate goal, whatever it is. If it’s making it the best library that you possibly can… be committed to that goal.